We do our best to make your your product successful and your employees efficient and effective in their work. testerzy.pl gathers the best trainers, coaches and consultants on the Polish software testing market. We deliver high quality services dedicated to software testers, test managers and quality engineers. 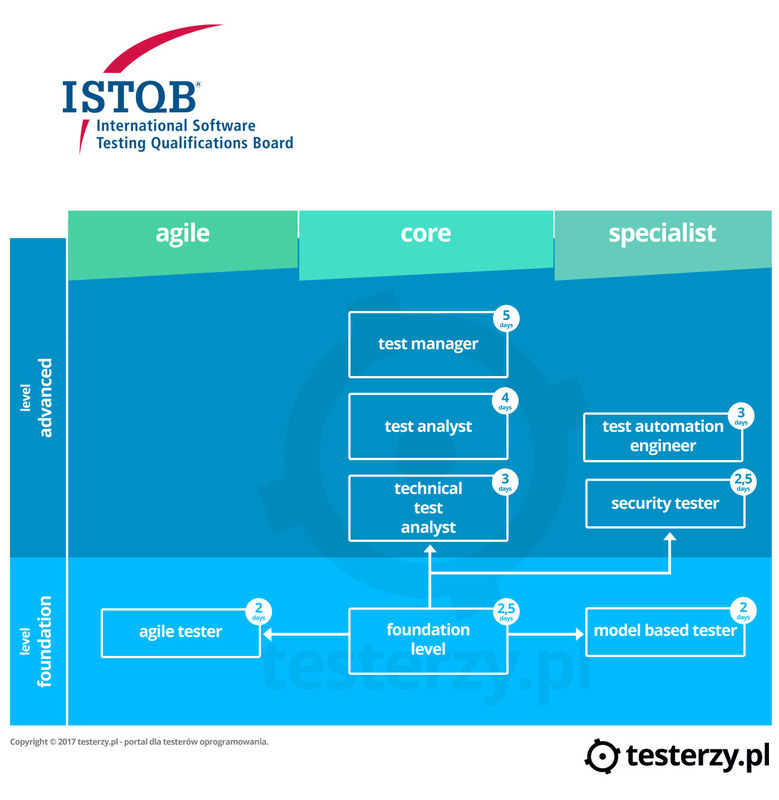 testerzy.pl is a pioneer Polish provider of trainings dedicated to software testing professionals. We offer a wide range of courses and workshops, all designed to make testers' work more effective. This includes the ISTQB courses - an international certification standard for software testers that makes up a path outlined below. testerzy.pl tests all types of applications regardless of language (Java, .Net, C, etc. ), platform (Business Intelligence - data warehouse, SAP, desktop applications, websites, etc. ), or software development method (V-Model, RUP, Agile, etc.) We are a perfect solution for IT companies - through testing we verify quality of a product before it is delivered to a client. We are a convenience for customers buying software from third parties. We perform acceptance tests on behalf of the end user. We hire the best branch specialists whose long-term experience was acquired in both major and minor IT projects. Prices are competitive in comparison to the software testing market and other outsourcing companies. We accept both short- and long-term orders. Using experience and risk-based techniques, we undertake projects which are budget, functionality, and time limited. We automate everywhere it brings advantages and savings. Client delivery: application/application address, requirements (if specified), and user documentation (if exists). testerzy.pl delivery: regular defect reports, test reports, test plan (if required), test cases (if required), and automatic scripts (if required). Location: testerzy.pl provides client-side consulting services and remote tests in its office. testerzy.pl gives you advice for improving testing in your business. Due to our long-term experience, we are able to help you in almost all fields of software testing. testerzy.pl trains both testers and testing managers. 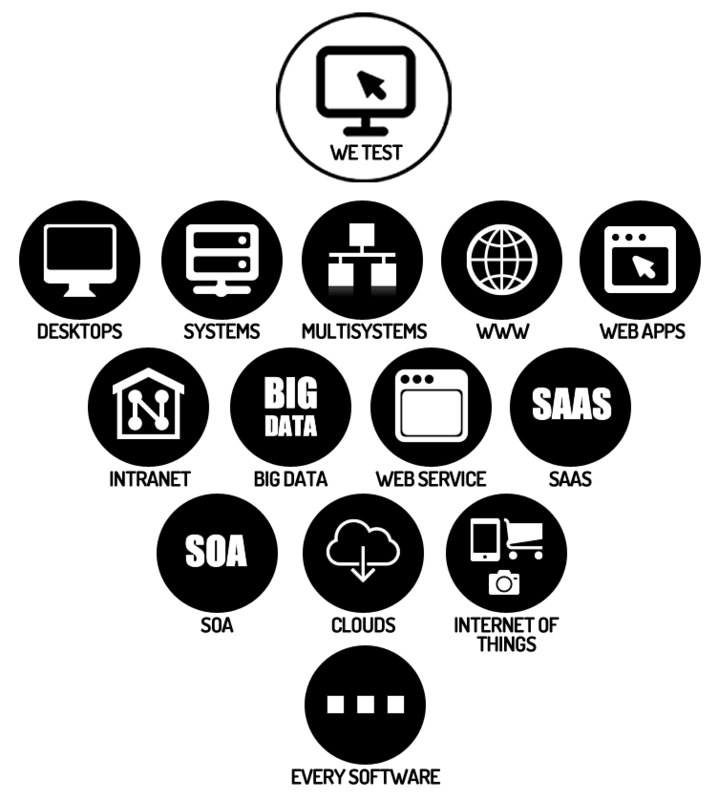 Our investments cover a wide spectrum of markets including banking and financial services, software, telecommunications, IT and business services, electromechanical manufacturing. We express our thanks to both the companies for choosing testerzy.pl, and the trainees for their active participation.